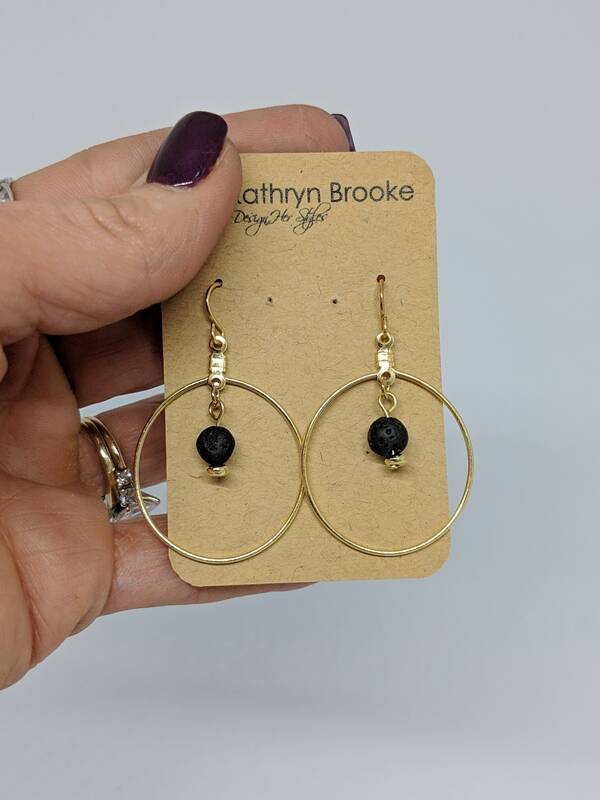 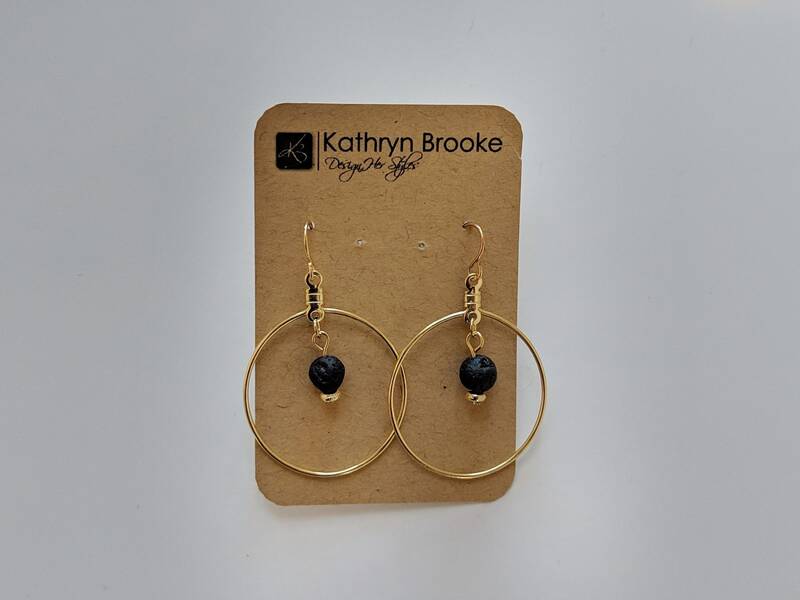 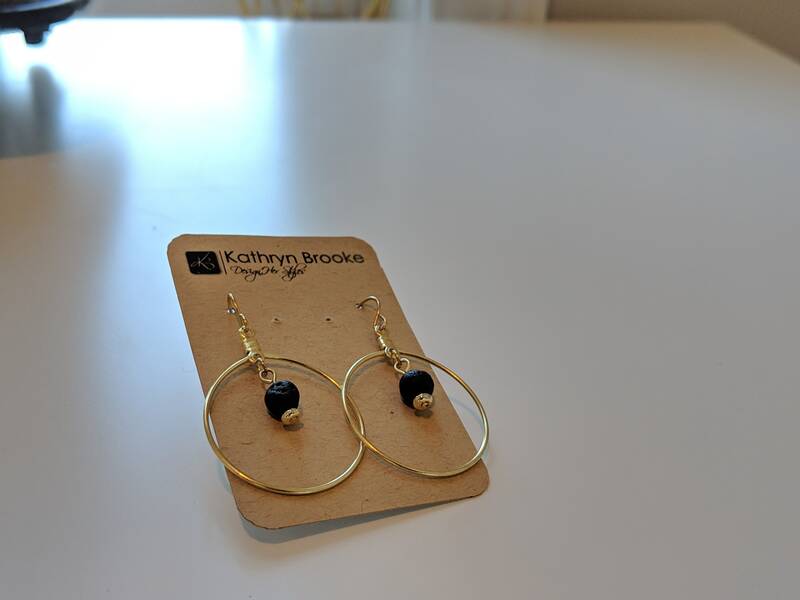 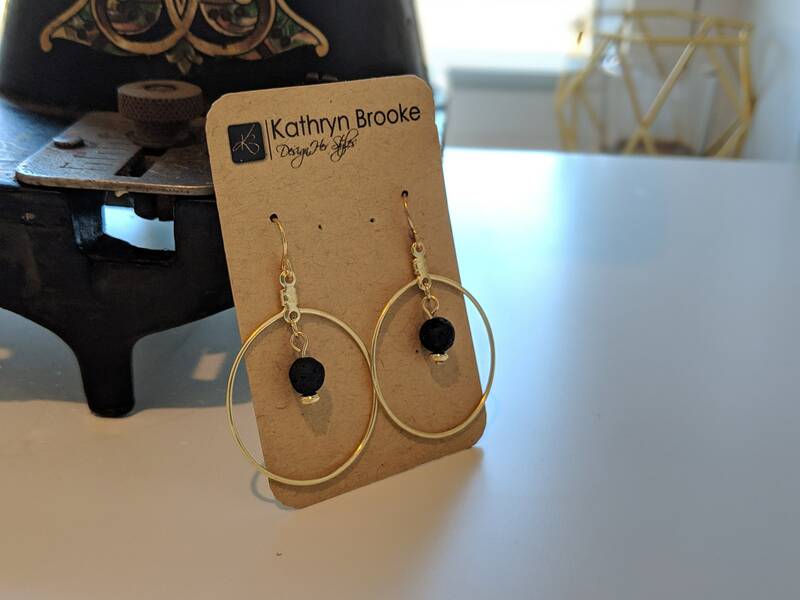 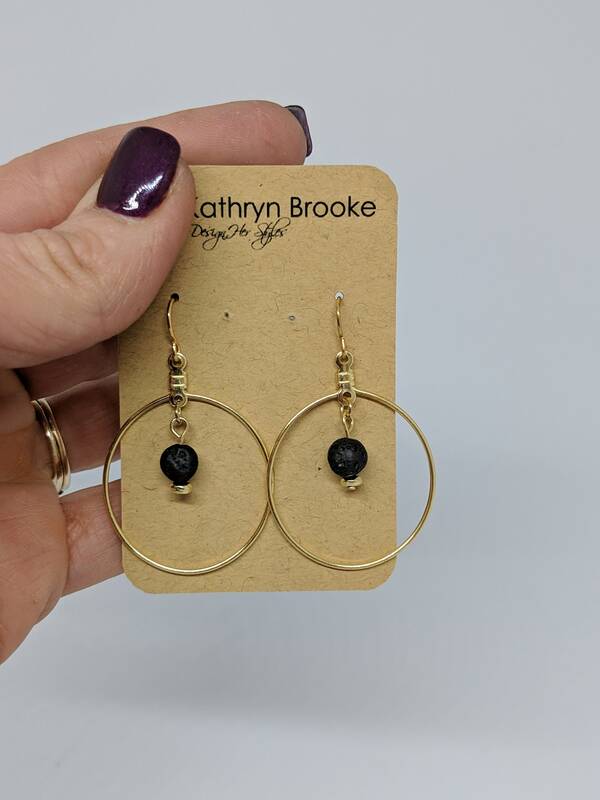 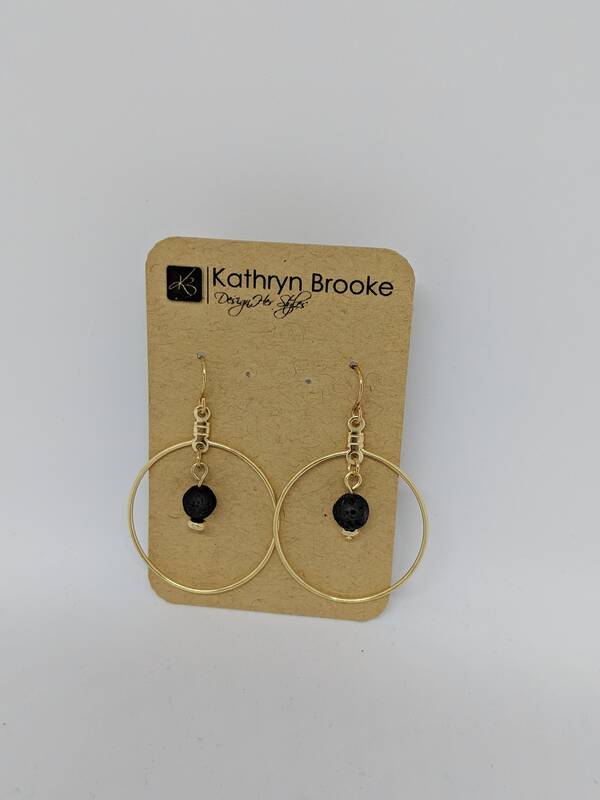 Gorgeous gold hoop earrings with a single black lava stone bead in the center of each! 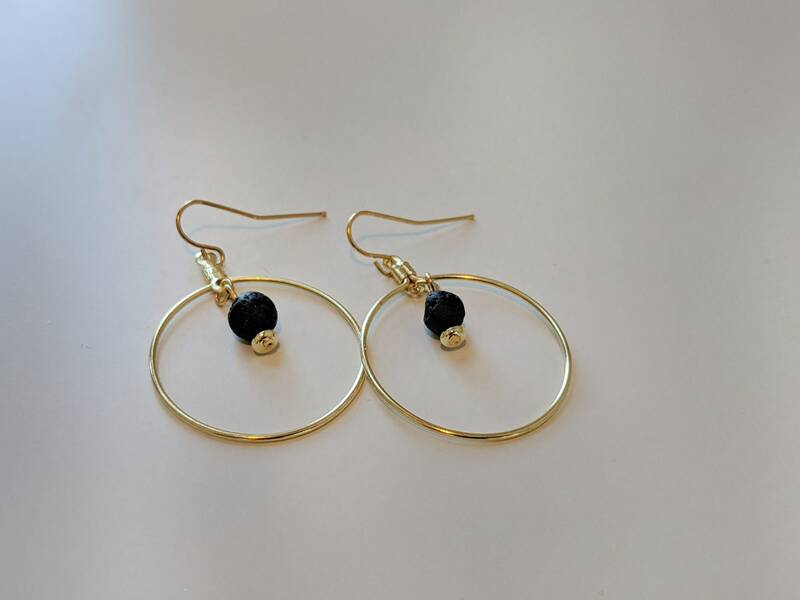 Dress up your day with these fun, stylish accessories! 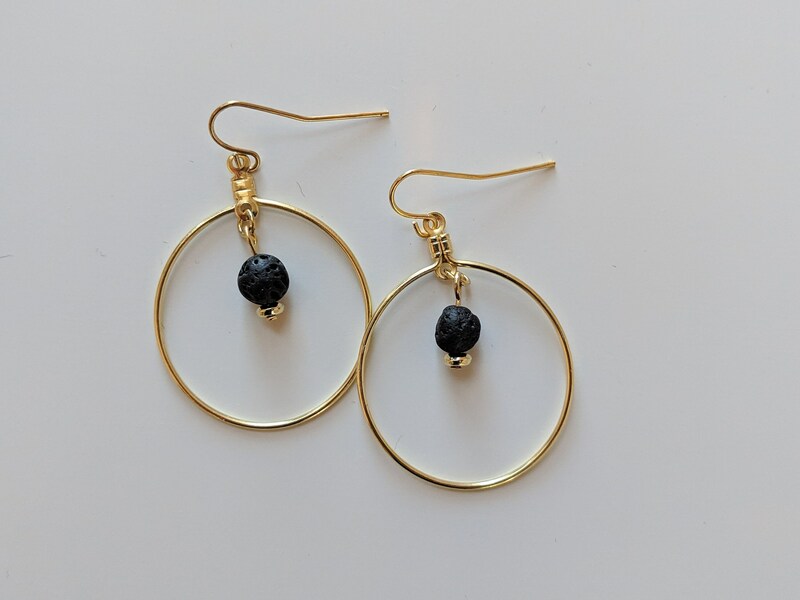 The Lava Stone is a grounding stone that gives us strength and courage, allowing us stability through tough times. 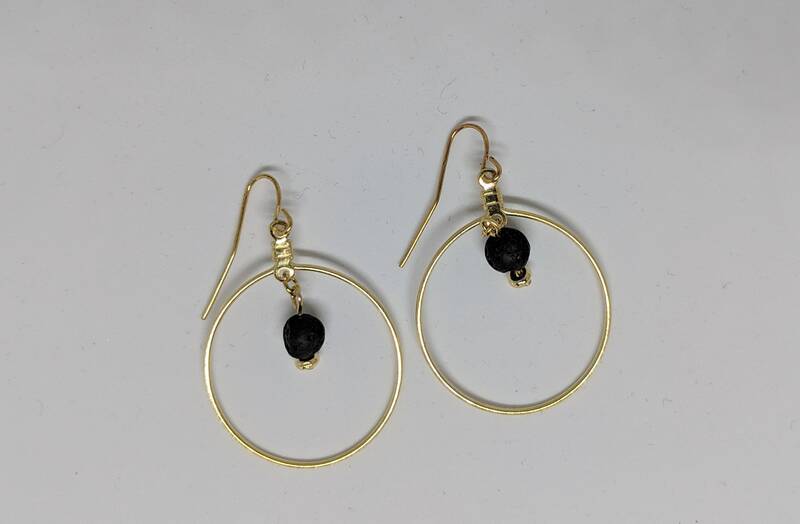 It provides guidance and understanding. 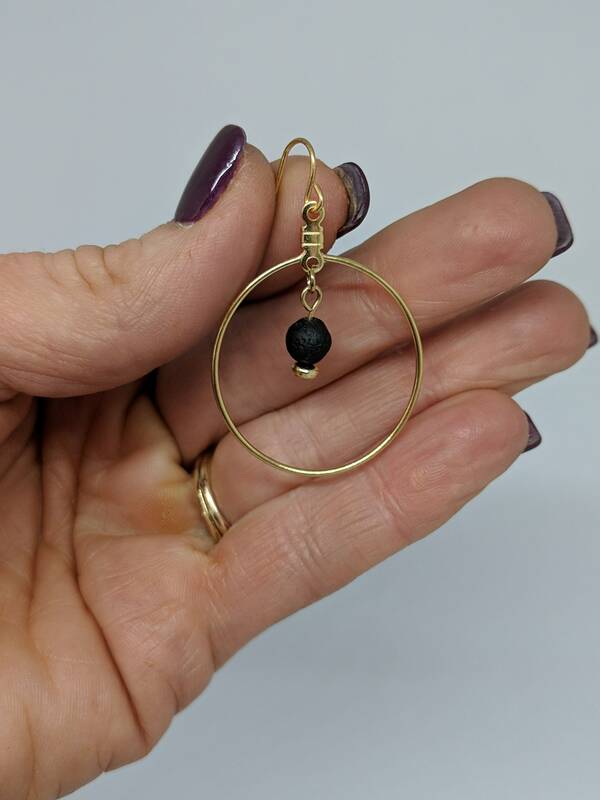 The Lava Stone is a calming stone and can help dissipate anger.